DINO-PIRATES OF NINJA ISLAND – Prehistoric Swashbuckling Kung-Fu Adventure! Meet Victoria. And a Couple of Her Admirers. She's just one of the many characters you'll meet in the world of DINO-PIRATES OF NINJA ISLAND. Receive my "story-letter" to keep up on her adventures! Enter a World Beyond Imagination! 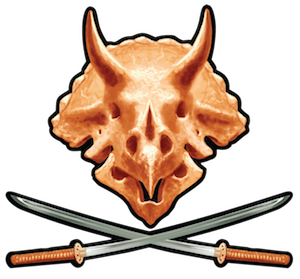 My name is Corey Reid and I write tales of wild pulp adventure, of men and women fighting cruelty and savagery with their fists, their swords and sometimes their sheer will alone. Tales as wild and savage as the fantasy world they take place in. You probably already know if you're going to like my stories or not, which means if you've read this far, you should probably sign up for my "story-letter". Get Your Recommended Pulp Dosage! Every so often (no more than once a week) I'll send you a "story-letter": a short dose of madcap pulp adventure straight to your inbox. Sometimes it'll be a brief story, sometimes a traveller's journal on some exotic island, or maybe a startling bit of fantastic art oozing thrills and chills. You'll get to know heroes and villains, secret societies and doughty comrades. You'll get deals on my books and ongoing series, get to vote on upcoming story developments and we'll even arrange get-togethers at events all over the place. DINO-PIRATES OF NINJA ISLAND is an open, collaborative setting so you'll be able to use this stuff for your own purposes. Whether you like to tell your own stories, or want to share memorable island destinations from your imagination, you'll find a growing community of pulp-loving folks! This story-letter is going to be your favourite email! Meet Masayo, Ritsuko, Eri, Yumi and Millicent – five young ninjas, banished from their clans for poor discipline and bad attitudes, stuck in the toughest, roughest school anywhere – The Ninja Island Correctional Academy! 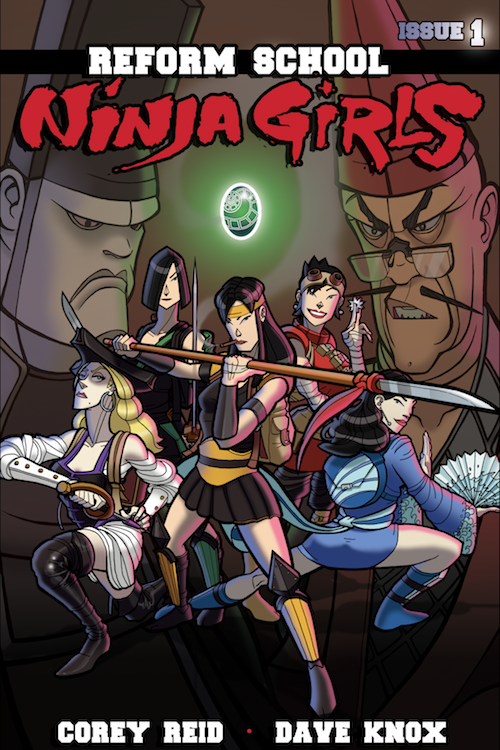 REFORM SCHOOL NINJA GIRLS is an award-winning comic book with a five-star rating at Comixology. Captain Li Ying sails a ship full of demons, hungry for the souls of the wicked! Her father told her how to keep the demons controlled, but it's the things he DIDN'T tell her that are really causing trouble. Now she struggles with the suave Arunza and the sinister Lord Evanisk for control of this terrifying legacy. 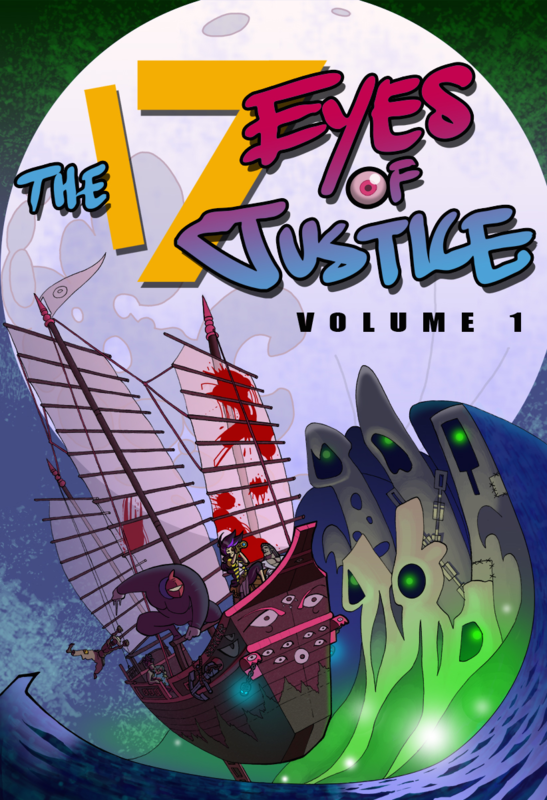 THE SEVENTEEN EYES OF JUSTICE is an online fiction serial combined into a single complete tale! Teen Detective Yumi Sasori is on the case! Life in the spooky ghost city of Kimurachi Temple is full of demons and spirits, but theres always Yumi to figure it out and save the day! 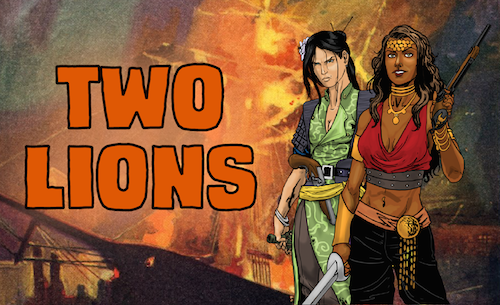 Before they became notorious pirate captains, Jihanna the Demon and Siu-Wai wandered the waves, finding adventure, fortune and danger wherever they went! Follow their adventures for free!